Another opportunity to explore a Work in Progress. Thanks to Melody Parks for setting up this new blog hop. I’m working on the next book in the Sublime Trust series. It follows on from Judged by Him. At bedtime, when the house slumbered peacefully, Gemma lay next to Jason on their bed and he played with her. All the teasing and torments he held off during the day, he dabbled in fully, if quietly. “I’m so pleased with you, babe. You’re the perfect missus and little slave. Once we’ve got this house back to ourselves I’m going to take you into my lair and flog you until you float off into space,” His seductive tone melted into her mind. Across the bed, his hand journeyed, heading purposefully to a specific location. She tensed, waiting for it to arrive. “You serve me and only me,” he said hoarsely. She felt a sharp pinch below. His assault on her tender nub continued unabated by her shivers and rapid breathing. “Yes, Sir, only you. I am yours,” she rasped. I can’t thank you enough for continuing to write about Gemma and Jason. I have truly enjoyed this series and hope it continues until they are old and gray. Such a great hot snippet Jaye, I love these two! “You are mine. Understood” … gave me tingles! 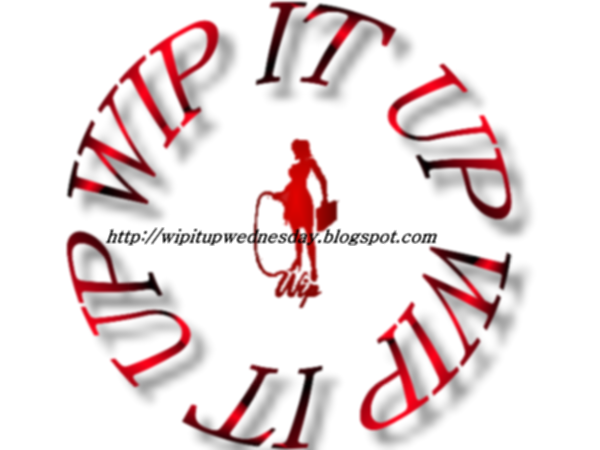 Jaye… it’s a pleasure to see you on WIP it Up. I always enjoy your excerpts.